Dr Poul qualified at the University of Oslo, Norway and he began his career in Norway. He registered as GDP in the UK in 1999. Dr Poul completed postgraduate training in Multi-system Clinical Implantology in Manchester and has completed a Master of Science in Radiology at Guys and St. Thomas Institute. He has also completed a Diploma Degree in Implantology at the Royal College of Surgeons in London. 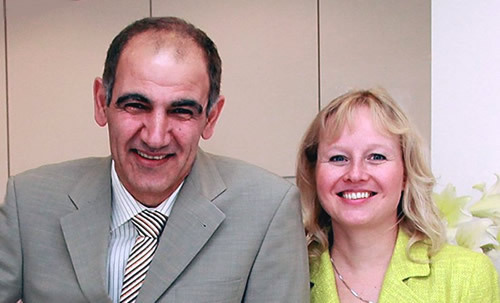 Dr Poul is a member of the Association of Dental Implantology and a member of the British and International Dental and Maxillofacial Radiology Associations. Dr Pitkanen qualified as a dental surgeon at the University of Turku, Finland and began her career in Finland. She registered as GDP in the UK in 2000. Dr Pitkanen has completed a MSc at Guys, Kings and St Thomas hospitals and is a member of the British and International Dental and Maxillofacial Radiology Associations and the Finnish Dental Association. As part of our team of dental professionals we now also have a new NHS Dentist, Dr. Sarah Murray, and an associate Dental Hygienist, Anna Paderewska. Pure Dental Surgery is registered with the Care Quality Commission. 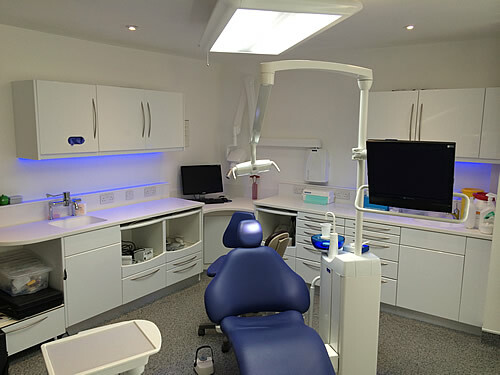 Photo below: One of the new Consulting rooms at Pure Dental Surgery, Eastbourne.